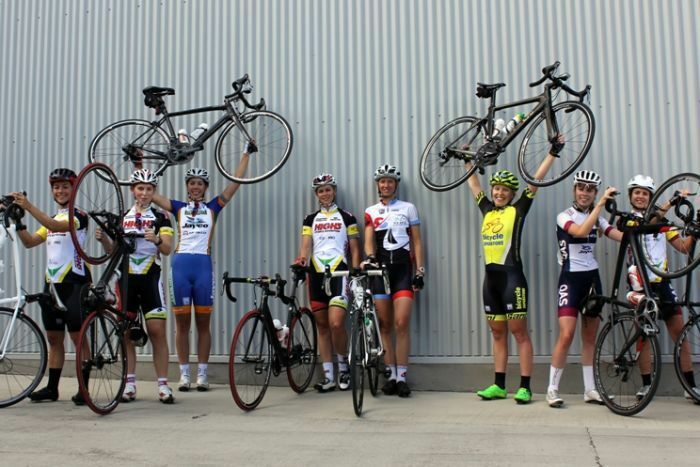 It was great to see some ABC coverage for a women’s cycling training/selection camp last week in Canberra. It’s interesting to note that after reading this story you would assume that Cycling Australia is behind this great initiative, but I believe it’s actually Rochelle Gilmore who made a commitment to take six female cyclists to Europe this year. Rochelle who owns and manages Wiggle Honda in the UK committed to this idea after Cycling Australia suspended its funding of the women’s elite program in Europe. Well done Rochelle. A group of Australia’s most promising female cyclists have been put to the test in Canberra this week for the opportunity to join the Australian cycling team on tour in Europe. The riders will remain under the close watch of selectors at the Australian Institute of Sport (AIS) where they are in the final days of the gruelling knock-out style selection camp, that will conclude on Sunday. Eight hopeful cyclists have made it through to the final days of the camp, from an initial group of 18, with further cuts to be made in the coming days. The cyclists had to undergo physiological testing and a series of fitness and skills challenges to test their readiness for international competition. Canberra cyclist Kimberly Wells (see my previous blog post about Kimberley) was delighted to have been invited to stay on at the camp after riders were sent home on Thursday. She said the camp was a fantastic opportunity but was unsure of the challenges ahead. “None of us know what’s going to happen between now and Sunday in terms of the rides that we’ll be doing, but we know it’s going to be really hard,” Ms Wells said. Cycling Australia’s national women’s road coach Martin Barras said the camp was designed to simulate the experience of riders competing in Europe. Riders have been expected to take on a series of challenges testing their skills, fitness and tenacity with limited recovery time. “Everything that they do at the camp is evaluated including their behaviour, technical skills, physiology and leadership,” Mr Barras said. “This helps us separate the riders in terms of who is suitable for riding among the world’s best. 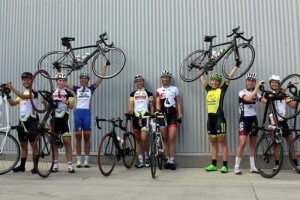 After the camp, selectors will identify six promising Australian female cyclists who will participate in an extensive eight-week racing and training program in Europe starting in mid July. Senior physiologist at the AIS, David Martin, said selectors’ decisions had a lot to do with timing. “We’re really interested in what we call the engine room and what type of aerobic capacities they bring to the table,” he said. Dr Martin said many of the riders who did not make the final group would be inspired to go away and work on specific skills. “The riders that don’t meet those challenges very well, we don’t say you’re never going to make it, we just say ‘you’re probably not ready right now’,” he said. This year, the first selected member on the development group will be offered the 10th Amy Gillett Cycling Scholarship. 2015 marks 10 years since the tragic death of Australian cyclist Amy Gillett after she was knocked off her bike in a traffic accident training in Germany in 2005. Previous Post:Help – How do I get my cycling mojo back?